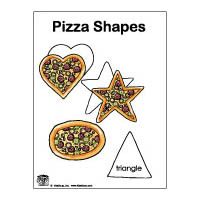 Pizza Preschool and Kindergarten Activities, Games, Printables, and Crafts. 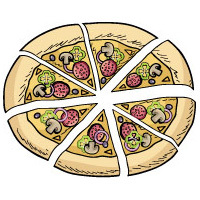 Ooey, gooey, chewy and cheesy; pizza is fun, any way you slice it! 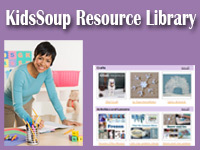 Children are sure to love this theme dedicated entirely to one of their favorite foods. 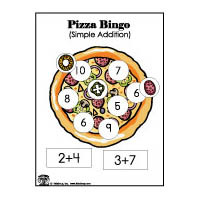 Pizza's versatility lends itself to all sorts of games and activities involving colors, shapes, numbers, fractions, and vocabulary development. In addition, children can help out in the kitchen concocting everything from English muffin pizzas to fruit pizzas to applesauce pizzas. This theme is educational and delicious. It's as if it was made to order! 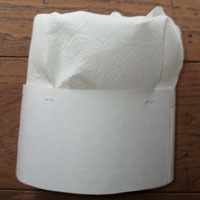 Cut large circular holes in the tops of pizza boxes. Make them different sizes to provide for extra challenge. Place the boxes outside or in an open area of the room and let children practice tossing bean bags inside the holes. Take a field trip to a local pizzeria for a tour. 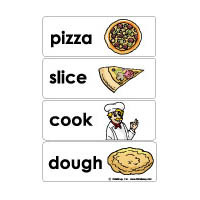 Children can take what they learn from the experience and incorporate it into their own pizzeria dramatic play. 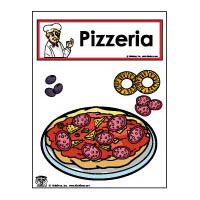 Plus, the pizzeria owner will more than likely be happy to donate a few pizza boxes and some napkins to the classroom. 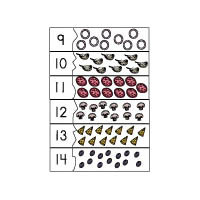 Place a variety of pizza topping pictures in the middle of the table or on the board. 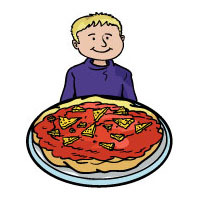 Secretly choose a topping and then give children clues about the topping. Example: It's crunchy and green = green pepper. 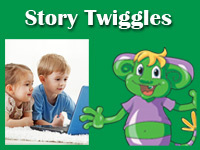 Invite children to guess the item. Repeat the process with the remaining items. Let children cover their eyes. Remove one topping. What topping is missing? 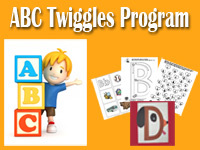 Hand out a clothespin to each child. Let children open and close the clothespin. Hold up a pizza number card. 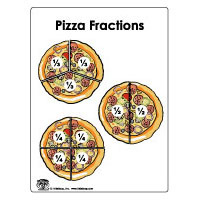 Ask children to tell you how many hot pizzas came out of the oven. Next, let one child clip her/his clothespin on the card and pass to the child next to him/her. 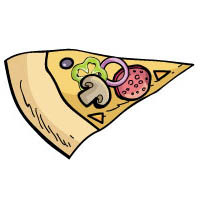 The child in turn uses his/her clothespin to take the pizza card and pass it to the child next to him/her. Repeat until the pizza card made its way around the circle. 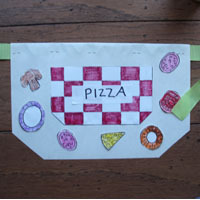 Place Pizza Number Cards and clothespins in a small basket. Secure a clothesline in your classroom or between to chairs. Children clip the pizza cards in order. 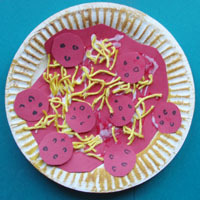 Let children play the role of a pizza chef and play creatively as they pretend make different pizzas using felt pizza toppings. 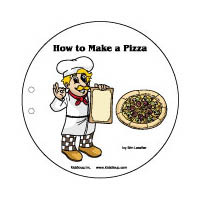 Cut round pizza shapes and toppings out of felt. Place the toppings inside small containers. Turn a box into an pizza oven by wrapping it in brown paper or aluminum foil. 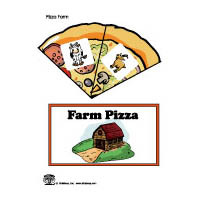 Print our pizza order forms and let children order a pizza. 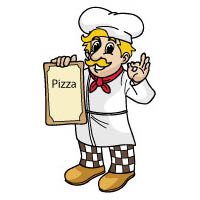 The cooks will in return make the pizzas and deliver them to the children when they are done. Roll it and toss it and sprinkle it with cheese. And don't forget the pepperonis, please!